Mentoring is one support that startup / aspiring entrepreneurs in Nepal often overlook while embarking on an entrepreneurial journey. Especially when you are starting your first enterprise, getting advice from other experienced entrepreneurs can help you avoid some common mistakes in the startup process. I have myself benefited tremendously from regular mentoring throughout my entrepreneurial journey. Ujwal Thapa and Ashutosh Tiwari, Co-Founders of Entrepreneurs for Nepal, gave me critical advice as I was setting up Biruwa Ventures in early 2011. I remember showing my business plan with an investment target of Rs. 65 lakhs to Ujwal and him asking “What if the business fails?” That question in itself made me reevaluate my plan and led me to pilot the business model at an investment of just Rs. 4 lakhs. Starting my entrepreneurial journey without talking to mentors would surely have led to a disaster. 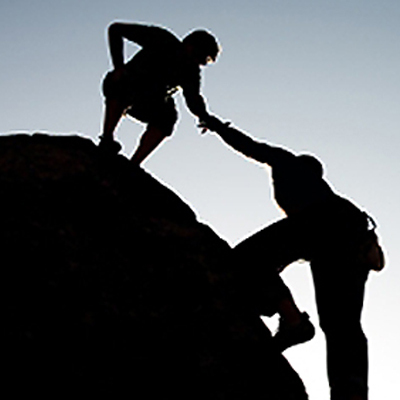 So how can mentors help during the early part of your entrepreneurial journey? Assess a business opportunity – Starting an enterprise requires making a lot of assumptions. Assumptions about your customer’s needs, about the market’s size, about your cost of production and number of other assumptions – and by laws of nature – assumptions can be wrong. Basing your business on wrong assumptions can be a recipe for disaster. Especially for entrepreneurs who are embarking on their first entrepreneurial journey, evaluating a business opportunity with someone who is experienced and has a little more knowledge about the market is useful. An experienced entrepreneur can help you judge the value proposition of your business, identify markets where your product or service will be most suitable, and most importantly point out potential pitfalls. With mentoring, rather than shooting an arrow into the dark, you will be able to make a more informed judgment about a particular business opportunity. 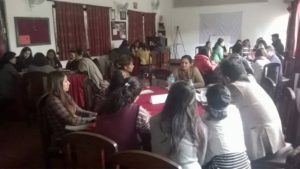 A women entrepreneurs mentoring session organized by Biruwa in collaboration with Federation of Women Entrepreneurs Association of Nepal. Develop a sound business model – Once you have identified a particular business opportunity, identified your target customers and figured out what is the value you will provide to those customer, it is then time to develop your business model. An experienced entrepreneur can share his or her insights regarding what sort of the business model would be the most feasible in a given market. They can help you decide on the scale of business and also point out potential flaws in your business model. These are insights that only experience, not a business course, can teach. The more work you put into doing your homework before starting a business, the better your chances of attaining success in your entrepreneurial journey and a mentor can help you in doing your homework correctly. Improve your leadership and management skills – Entrepreneurs require a number of skills to be successful – leadership and management skills are perhaps the most critical for your success. For a young entrepreneur, watching an experienced entrepreneur conduct his or her business or getting nuggets of wisdom on ways to motive and manage a team can be invaluable. Such skills cannot be transferred with one-off meetings. You have to develop a relationship with a mentor and it may take you months before you see marked changes in your leadership or management style. Connect to key players in your industry – An expansive network is perhaps the most useful asset for any entrepreneur. However, young entrepreneurs usually lack the network necessary to succeed in a business. A mentor can help you expand your network and help you make connections with key people in an industry. That network may include potential customers, potential suppliers and even investors for your business. Again, a mentor will open his or her network to you after you have developed a good rapport, so investing your time in developing a good relationship with your mentor is critical. Mentorship culture is not yet established in Nepal. Aspiring young entrepreneurs rarely seek mentors to guide them through their entrepreneurial journey. Biruwa is actively playing a role in promoting the culture of mentorship among entrepreneurs in Nepal. If you are looking for mentors, feel free to connect with us through our free mentoring session for entrepreneurs.